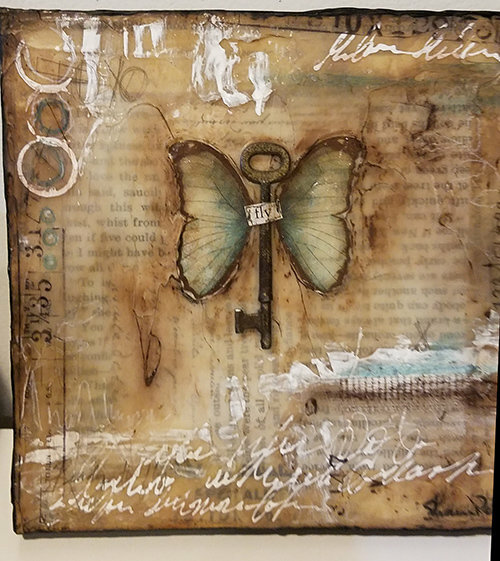 This beauty is thick with layers of faux encaustic, rusty key embedded, translucent butterfly wings and vintage paper. 8x8. Sealed with a soft gloss sealer and back is painted black with key hole for hanging. Signed on front and back. The word on it is fly.